A motion requesting that the Administration enter negotiations with OED, discuss with the Energy Department, move forward with option 1, remove the solar restrictions in the previous version, and return to discuss with the Council was approved 7:0. 5. A discussion on a proposed Zoning Ordinance amendment to Section 14.41 Major Home Occupations to extend daytime business hours from 5:00 pm to 7:00 pm, and a discussion of possible changes to the Home Occupations chapter generally. (17-0025OA) A motion to bring this item back for discussion at the April 10, 208 Work Meeting was approved 7:0. 6. A discussion on a General Plan Map Amendment from Commercial to Residential for 1.52 acres of land located at 490 South State Street. Maeser Neighborhood (17-0002GPA) Presentation only. This item was already scheduled for the March 27, 2018 Council Meeting. 7. A discussion on a Zone Change from General Commercial (CG) to High Density Residential (HDR) for 1.92 acres of land located at 422-490 South State Street. Maeser Neighborhood (17-0010R) Presentation only. This item was already scheduled for the March 27, 2018 Council Meeting. This item was already scheduled for the March 27, 2018 Council Meeting. The related presentation was continued until the evening meeting due to a time shortage. A motion to consider the first resolution as the implied motion for the resolution on the March 27, 2018 Council Meeting agenda was approved 6:1, with David Harding opposed. 1. A presentation of the March 2018 Employee of the Month. Presentation only. 2. 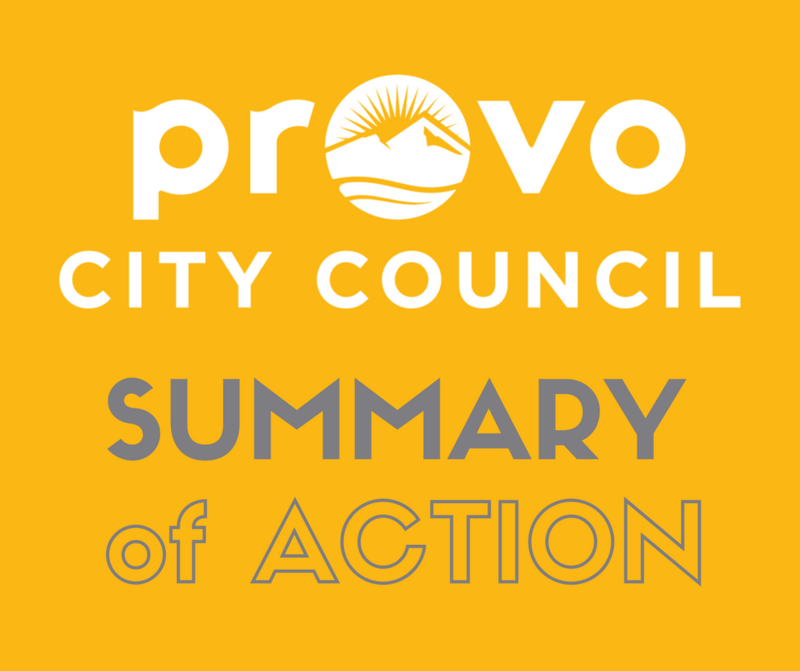 An ordinance amending Provo City Code regarding the recodification of Provo City Code. (18-033) The Consent Agenda were approved 7:0. 3. A resolution ratifying the Mayor's signature on the first addendum to the Fifth Amended Interlocal Cooperation Agreement between Provo City and Utah County relating to the Ice Sheet Authority. (17-055) Approved 7:0. 5. A resolution appropriating %178,620 in the Fire Department, General Fund, for the purchase of wildfire equipment and other needs applying to the fiscal year ending June 30, 2018. (18-031) Approved 7:0. 6. A resolution amending the General Plan Land Use Map designation for property generally located at 490 South State Street from Commercial to Residential. Maeser Neighborhood. (17-0002GPA) Approved 7:0. 7. An ordinance amending the zone map classification of approximately 1.92 acres of real property, generally located at 422-490 South State Street from General Commercial to High Density Residential. Maeser Neighborhood. (17-0010R) Continued to the April 10, 2018 Council Meeting. 8. An ordinance amending Provo City Code regarding parking requirements in the Supplementary Residential (S) Overlay Zone. Citywide Impact (PLOTA20180025) Continued to the April 10, 2018 Council Meeting. 9. Consideration of the proposed terms of agreement regarding a parking structure in downtown Provo (18-034) A motion expressing the will of the Council that the Administration try to ensure that the ground floors of the parking structures have habitable space, and that the parking structures will be less than 8 stories tall was approved 7:0. Version B of the resolution, allowing the Mayor to execute the final agreements, was approved 7:0. 10. 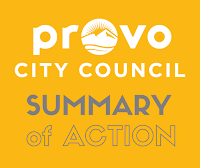 Consideration of the proposed terms of agreement regarding a parking structure in downtown Provo (18-034) Version B of the resolution, allowing the Agency CEO to execute the final agreements, was approved 6:0, with David Knecht excused. Video recordings: Joint Meeting, Work Meeting and Council Meeting.